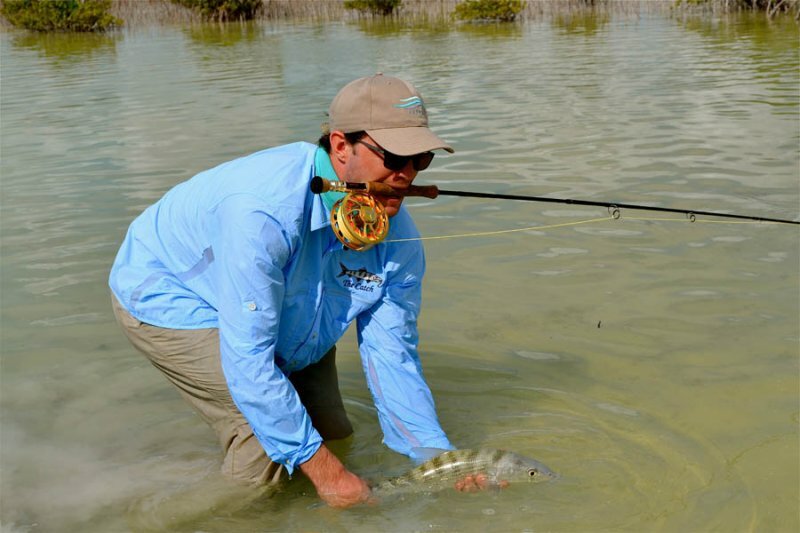 Welcome to Bonefish Unlimited, your premier fly-fishing and light tackle charter based out of Providenciales (Provo) in the beautiful Turks and Caicos Islands for 35 years. Come experience a trip of a lifetime in pursuit of the wily and elusive bonefish. 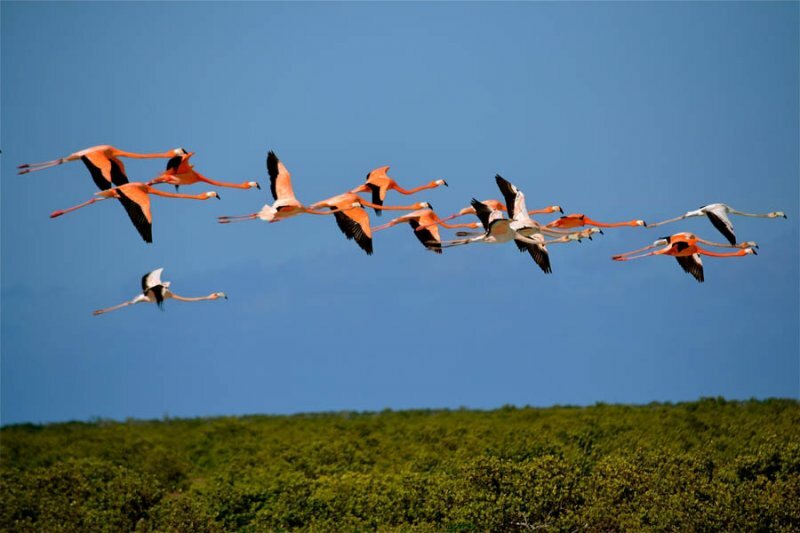 Our waters host some of the most expansive flats in the Caribbean with more miles of complex mangrove canals then one can fathom. Long story short it is a big fish mecca. 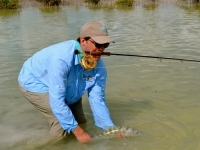 Eight pound bonefish are common with the average fish in the 4 pound range. 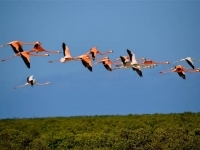 Our hunting grounds consist of Provo, Pine Cay,Water Cay, North Caicos, Middle Caicos, East Caicos and many islands in-between. 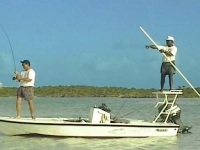 Whether we fish from a top of the line polling skiff or wade the shallow water of the tidal flats, bonefishing is an exciting, and unforgettable experience. 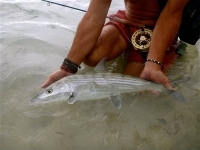 With 53 years of combined experience, our guides have developed a “sixth sense” in stalking bonefish and anticipating their daily routine in all conditions. Our Captains profess a positive and encouraging attitude, creating a happy and safe environment full of learning. After a day aboard our skiffs the angler will step off with a newly acquired knowledge of our fishery and a taste of the habits of our beloved bonefish.